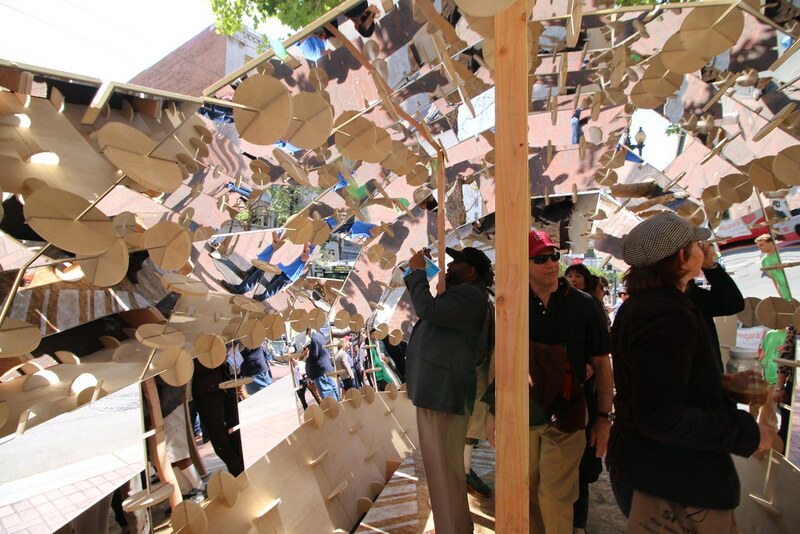 peepSHOW by David Baker Architects. 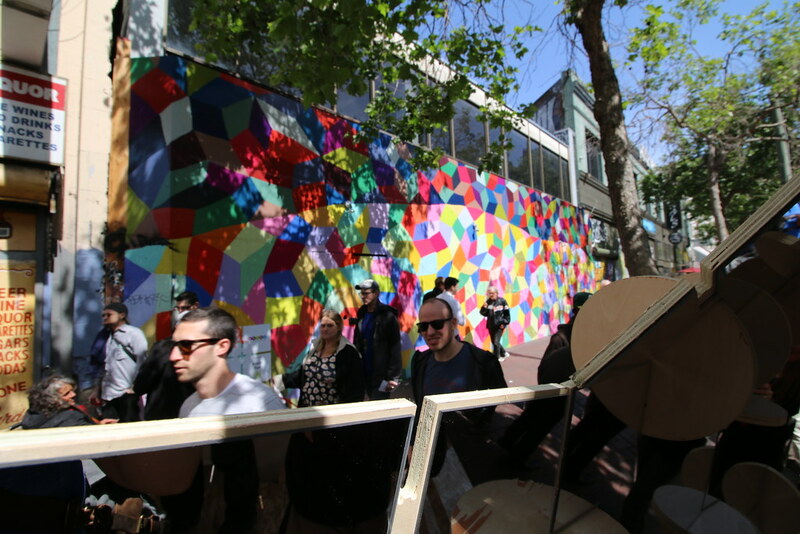 Photo by Tommy Lau. 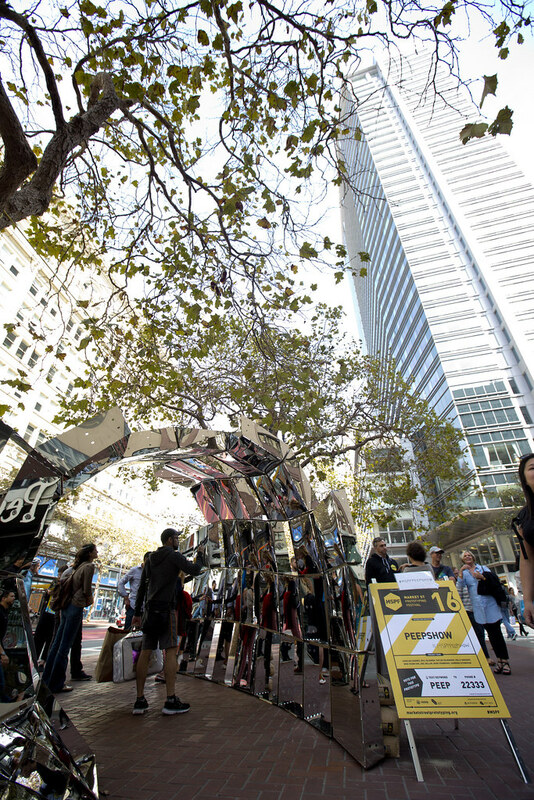 Market St. and Yerba Buena Ln. 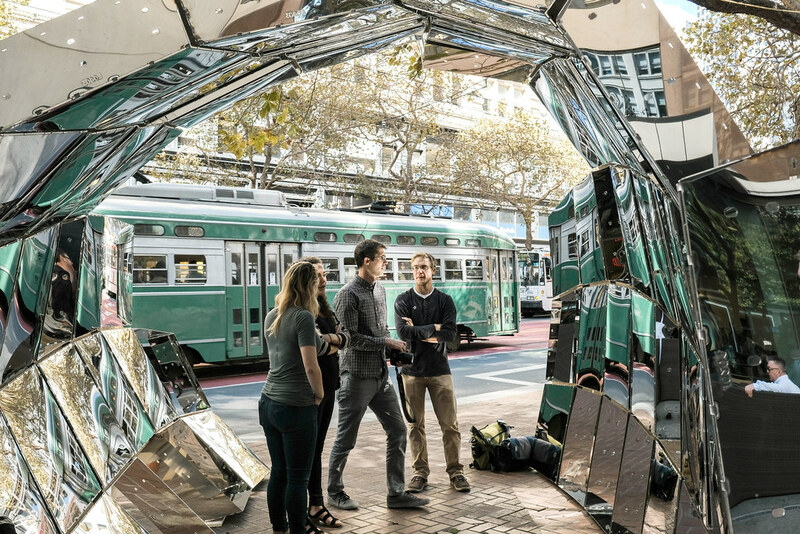 An urban viewing station made of mirrors. 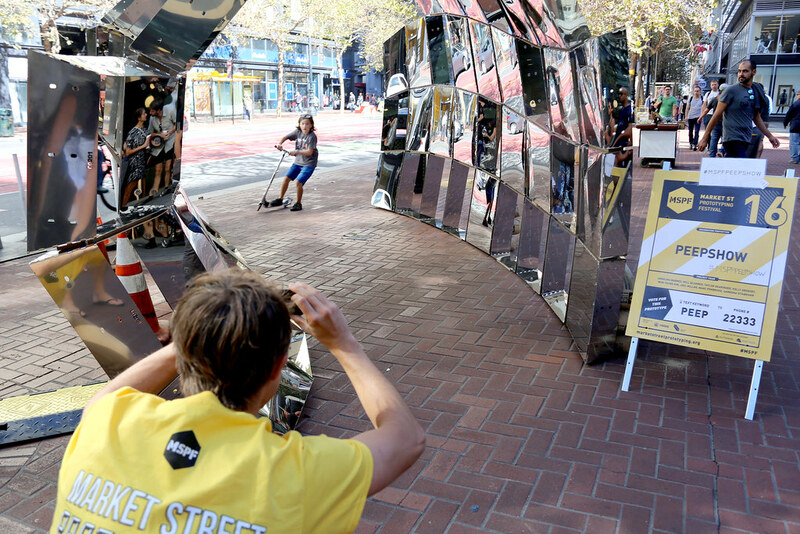 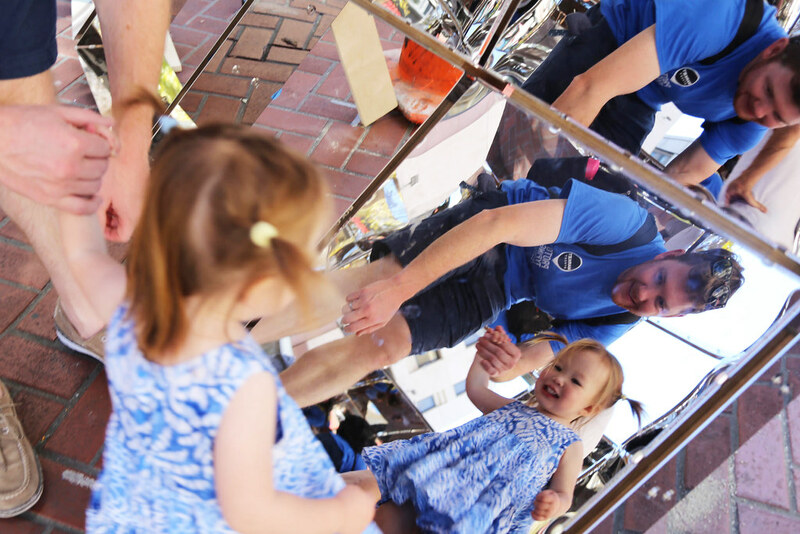 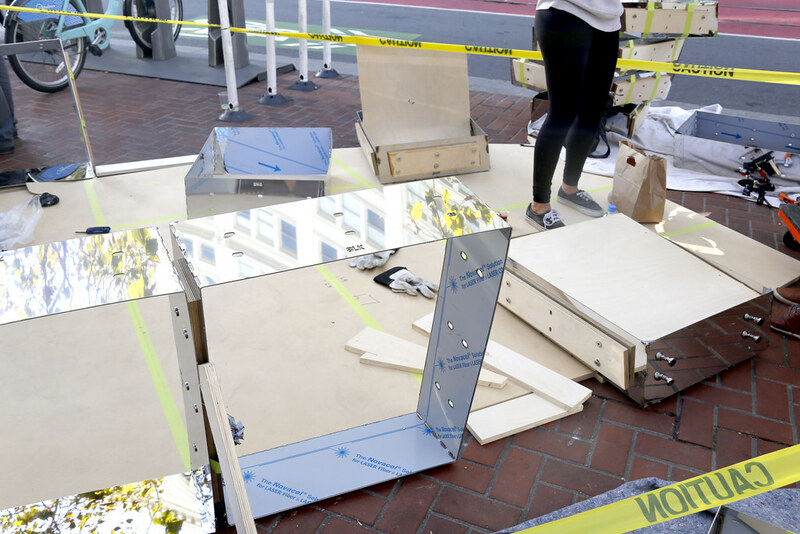 peepSHOW is an a tunnel of mirrors that highlights obscure and concealed street scenes to passersby on Market Street. 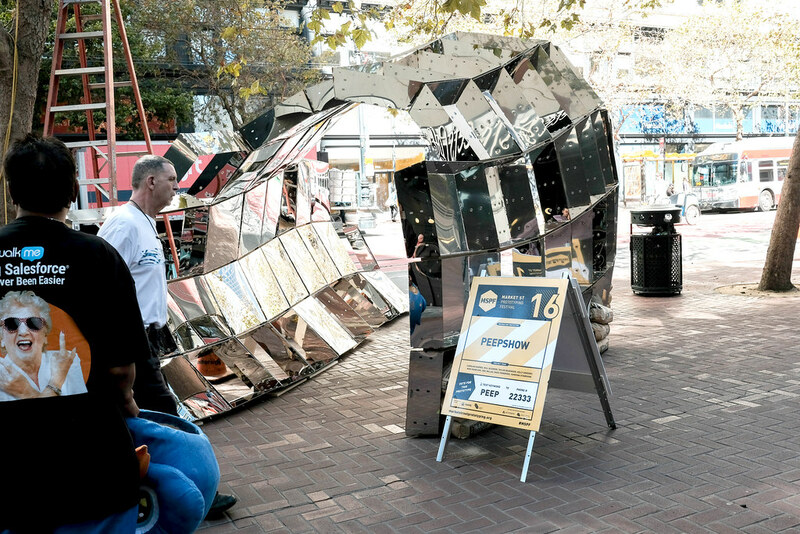 This “urban viewing station” was originally created for the 2015 Market Street Prototyping Festival. 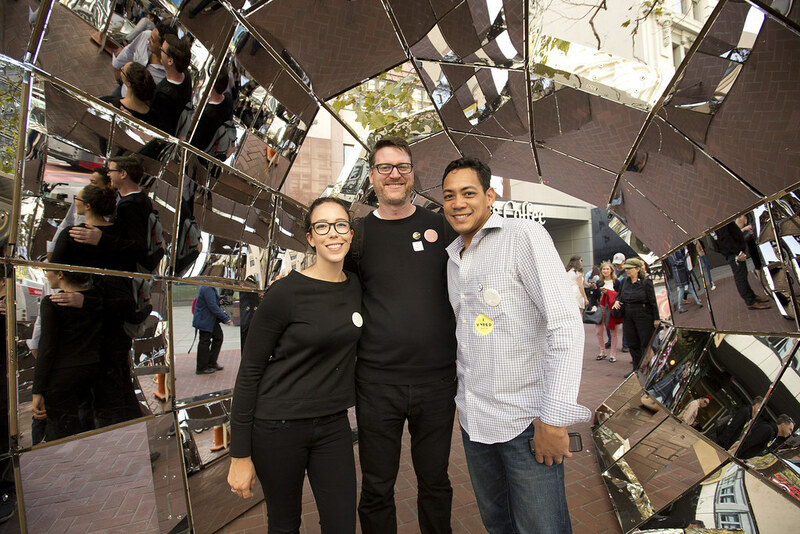 During this three-day festival, peepSHOW was an object of intrigue and beauty, a place to pause and ponder, a giant selfie machine—and more. 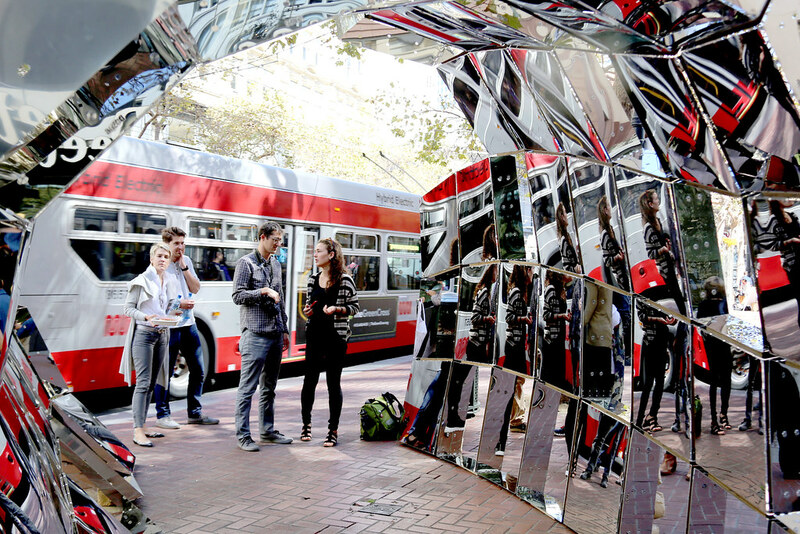 Urban spaces are made rich by their myriad components, but this very complexity can be overwhelming. 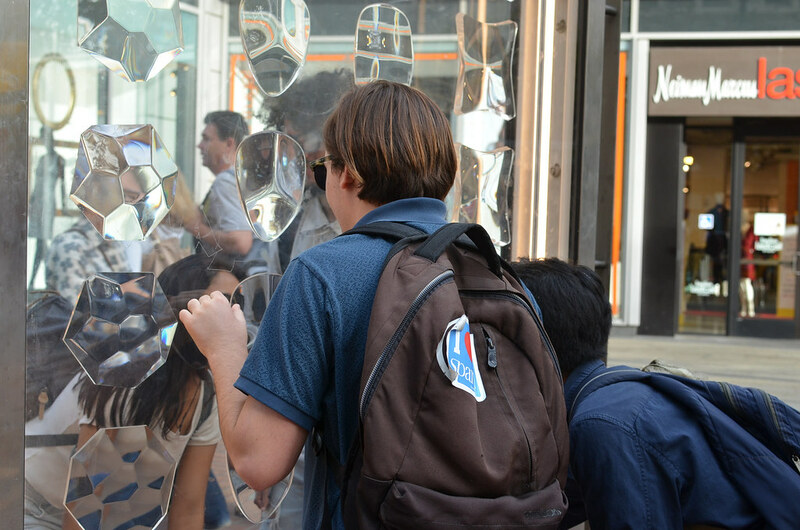 By filtering out all but one aspect or moment in a cityscape, a clear piece of the city can emerge from the blur. 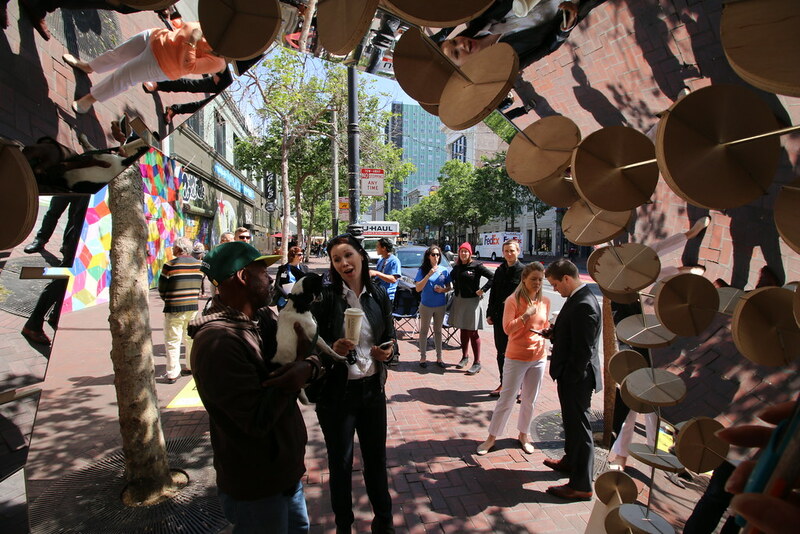 peepSHOW encourages people to contemplate surroundings and create shared experience. 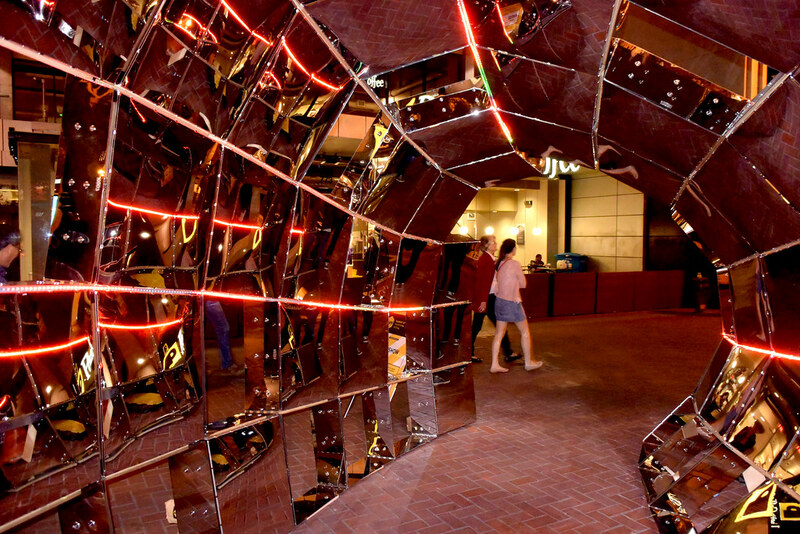 The structure builds on a nature-lover’s viewing station, such as a birding platform or scenic overlook. 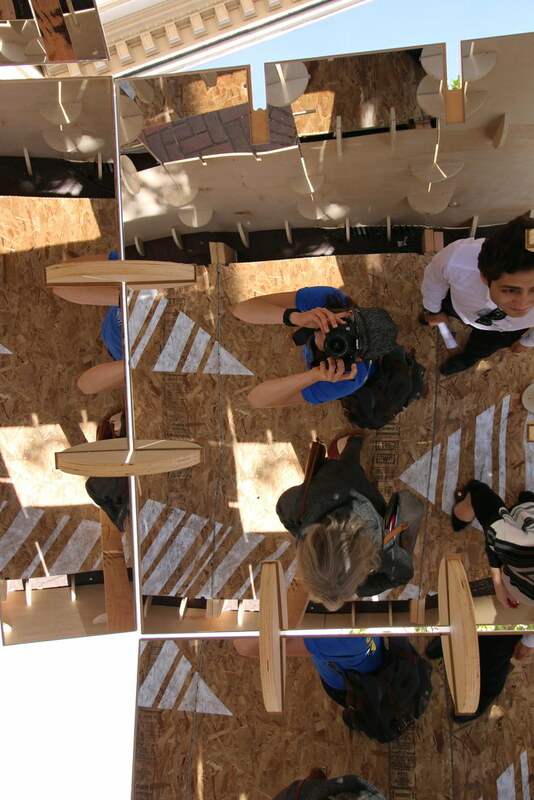 Grounded in a dense city context, peepSHOW encourages people to contemplate and explore their urban environment. 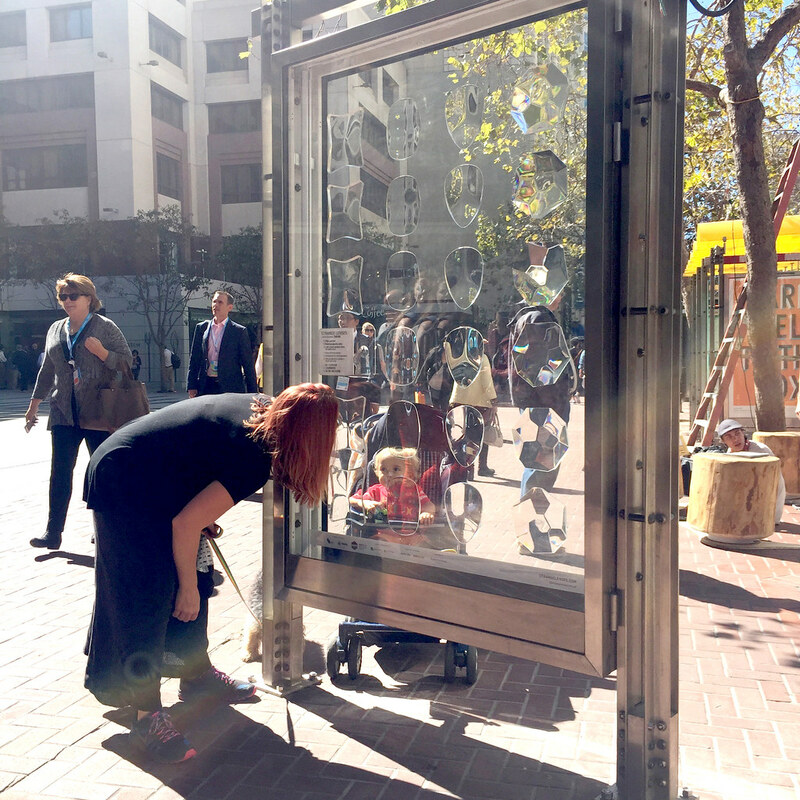 In 2016, peepSHOW was invited to build a more permanent version of the project to install on Market Street for up to 2 years.